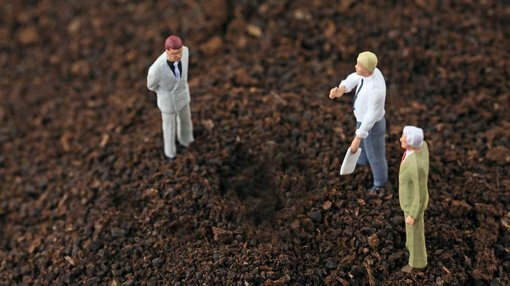 American Pacific Borate and Lithium (ASX:ABR) has this morning announced that the vendor of the Salt Wells North and South Borate and Lithium Exploration Projects in Nevada, USA, has agreed to transfer 168 additional claims under the terms of the existing Earn In agreement. The additional claims cover an area of 13.6km2 and will connect the two existing projects. The combined project now covers an area of 36km2 with surface salt samples in the northern area recording up to 810ppm lithium and over 1% boron (over 5.2% boric acid equivalent). CEO Michael Schlumpberger commented on today’s development, stating: “The Salt Wells Borate and Lithium Exploration Projects contain a lot of the unique characteristics of boron and lithium discoveries worldwide, including an arid climate, a closed basin containing a playa (dry lake bed), and suitable source rocks. “Aside from salt surface sampling that recorded some very high grade results (up to 810ppm Lithium and over 1% Boron), no modern exploration has been conducted on the project area. The consistently strong lithium and boron grades across the surface salt samples make this a very exciting opportunity in a global lithium and boron context that now has a lot more scale. However, there is still a lot of work to do before ABR meets this stated aim, so if considering this stock for your portfolio seek professional financial advice. The additional claims have been added to the projects under the Earn In agreement the company announced on 25 May 2018. Under the terms of the agreement, ABR may spend US$3 million on the projects over a five-year period, with modest expenditure commitments required in the first two years. The company is also required to pay all claim-related expenditure which is estimated to be US$500,000 over the five year period. Once in commercial production, ABR will be required to make a one-off payment of US$1 million and an ongoing royalty of 3% of gross revenues. The projects’ area contains a lot of the unique characteristics of lithium brine discoveries worldwide. Initial activities will include 16km of magneto-tellurics (MT) lines to determine basin structure and detect if brines are present in the basin, with six shallow drill holes to follow. The program has been designed with the company’s technical advisor Jerry Aiken, an industrial minerals expert with over 45 years’ industry experience in mostly borate and lithium projects including nearly 30 years in the Rio Tinto Borates Exploration Group. 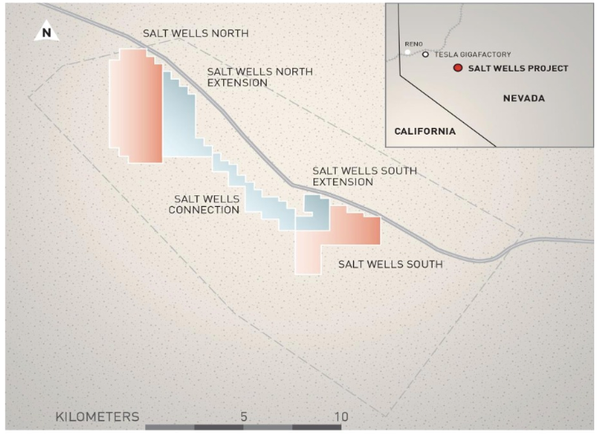 The Salt Wells projects are located in Churchill County, Nevada, USA. The projects are within short proximity to major highways and within 25km of the town of Fallon. The projects lie in what is believed to be an internally drained, fault bounded basin that appears similar to Clayton Valley, Nevada, where lithium is currently produced by Abermarle Corporation — the only current production source of lithium in the USA. The basin covers an area of around 110 km2. Borates were produced from surface salts in the 1800s from the Salt Wells Northsite. With the exception of recent surface salt sampling from the Salt Wells North project, no modern exploration has been completed.